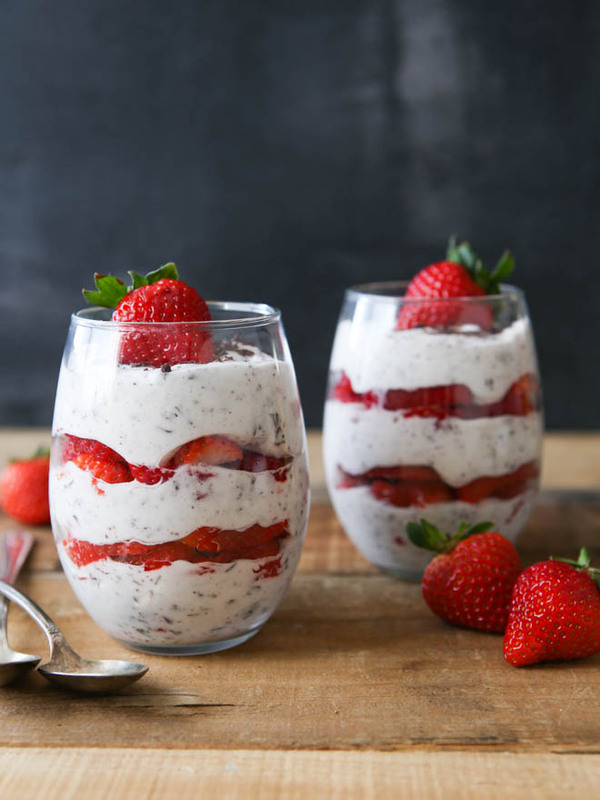 An easy mousse-like dessert made with whipped cream, fresh strawberries, and chopped chocolate. Looking for a sweet treat to serve your Valentine? Look no further! 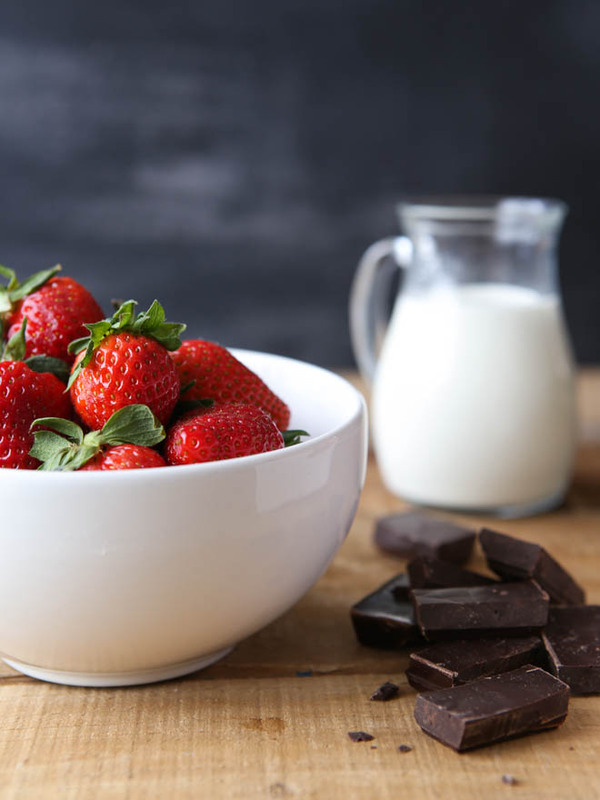 This strawberry chocolate “fool” is simple and light, yet elegant. Plus, it won’t leave you feeling too guilty afterwards. 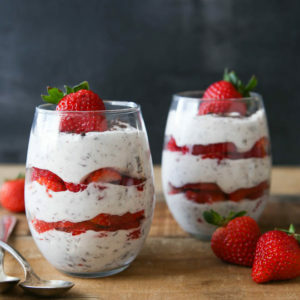 It involves three main ingredients— strawberries, chocolate, and whipped cream. It takes just 5 minutes to make (plus some chilling time). And nothing says romance quite like strawberries and chocolate, am I right? 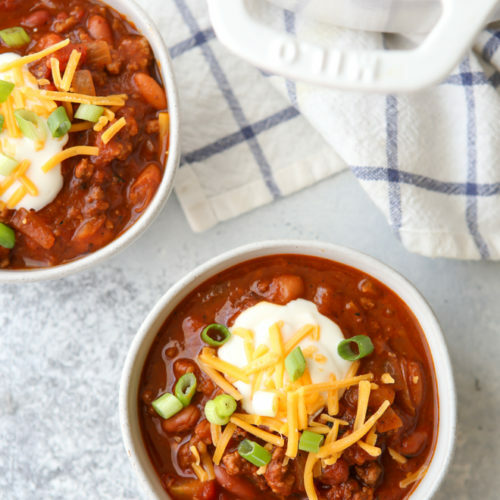 This recipe has been on my site for a few years, but it’s so simply perfect that I thought it deserved some renewed attention. Its name comes from the French word fouler which means “to crush”. To make this dessert all you have to do is fold mashed strawberries and chopped chocolate into whipped cream. It’s hard to get much easier than that! Think of this as a whipped cream mousse, with spoonful after spoonful of bits of chopped chocolate and sweetened strawberries suspended in a whipped creamy cloud. This is the perfect end to Valentine’s Day, Galentine’s Day, or any day for that matter. Make it earlier in the day and have it ready and waiting for when the mood strikes. Note: this recipe was originally published in 2012. Photos have been updated. 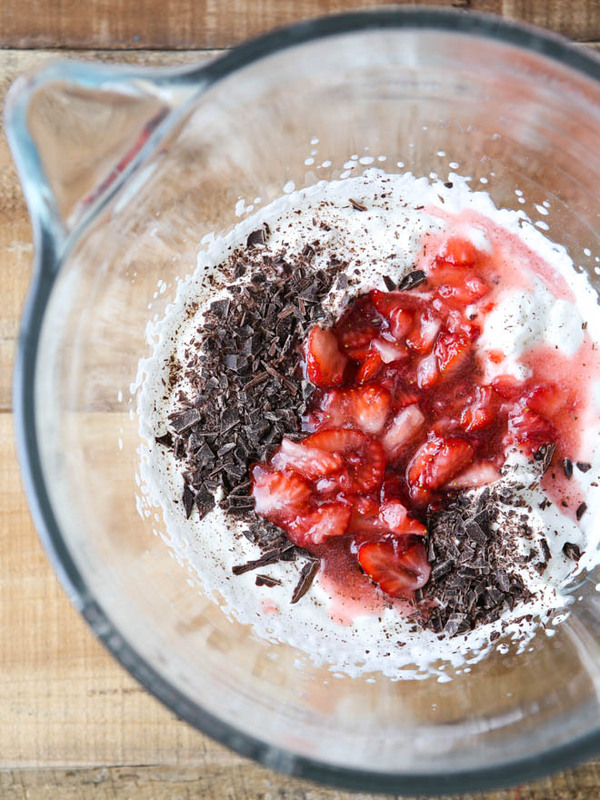 An easy mousse-like dessert with fresh strawberries and chopped chocolate. Place 3/4 cup (90 grams) of the strawberries in a medium bowl. Add the sugar, vanilla extract, and pinch of salt. Use a fork to mash the berries and chill the mixture in the fridge for 30 minutes. 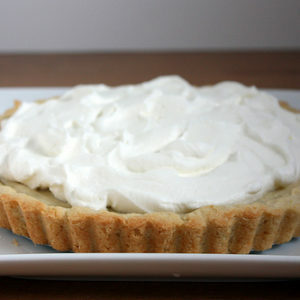 Whip the heavy whipping cream to stiff peaks with a stand mixer or a hand mixer. Fold the chilled strawberry mixture and the chopped chocolate into the whipped cream. 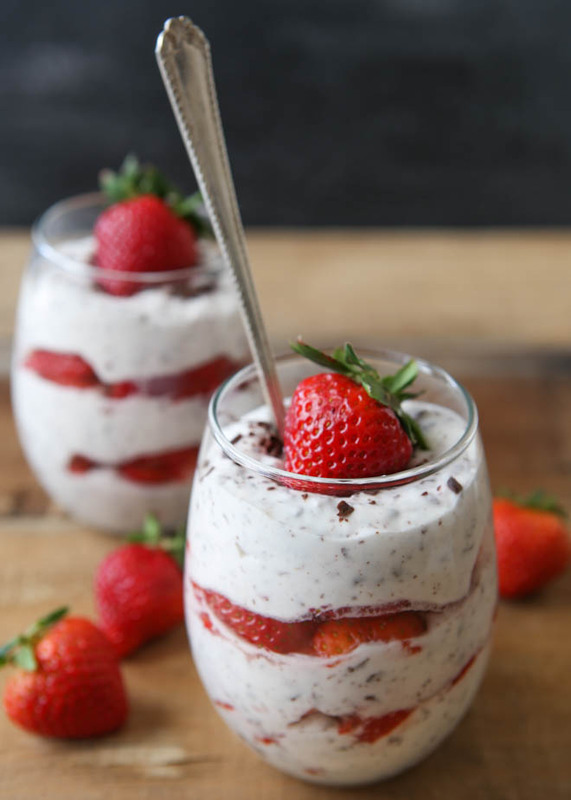 Spoon into glass serving dishes, alternating in layers with the remaining chopped strawberries. 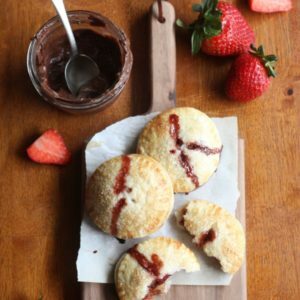 Top with additional chopped chocolate and a strawberry. 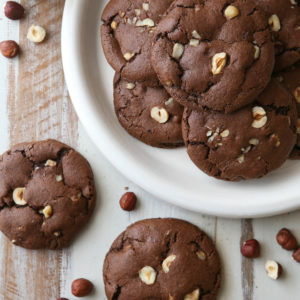 Note: Use dark, semi-sweet, or milk chocolate. Whatever fits your preference. 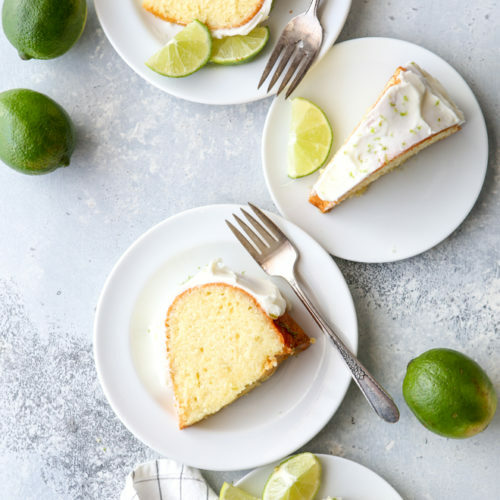 Some of the best desserts are simple, and this one looks amazing! Can’t wait to try it! Stuff Valentines Day, I want these all to myself. They look so yummy! Looks simple and tasty- perfection!! Annalise, this looks perfect! Even better than I imagined. Light, tasty, and totally romantic! We also stay in – I don’t like all the crowds!! This looks like the perfect v-day dessert, and I need to set my dvr to see you today on tv! This looks sooooo good!!! I want this now! You were to cute on TV. I’ll have to give this one a try. So easy and delicious! Scott and I made these last Saturday and loved them so much we made it again on Sunday! What a great idea! Yum! So happy to hear that you tried it and both liked it! 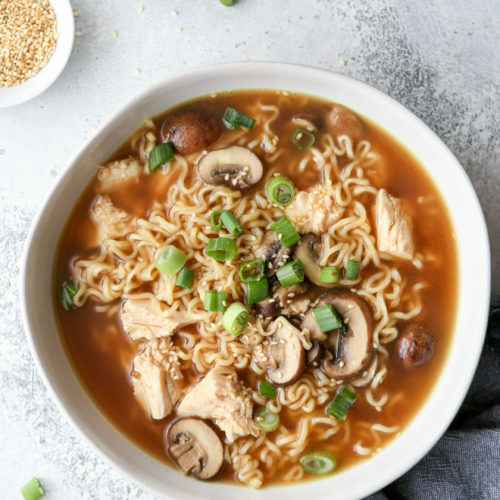 Can you make these like a night before dinner? These are probably best within 12 hours of assembling, but you can stretch that to 24 if needed. After time the juice from the berries will start to deflate the whipped cream and it won’t look as pretty, but it will still taste good!